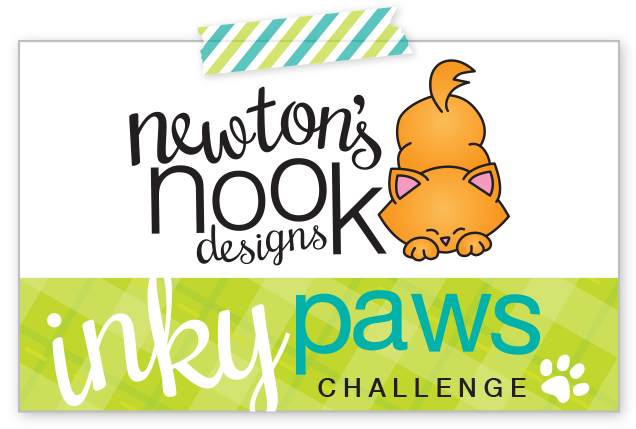 Hello everyone and welcome to Day 1 of the Newton's Nook Designs September release! 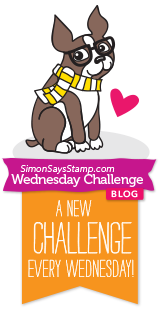 Today we are featuring a new stamp/die set called, "Shades of Autumn". I started with some watercolor paper and painted the background using a few colors of green hybrid inks. After drying, I splattered with a little gold and black ink. While that was drying, I stamped and die cut out a bunch of these gorgeous leaves, they have a beautiful textured look to them! I assembled on my card front in a collage style, over a tied piece of gold twine. Lastly I add some enamel dots by GinaMarieDesigns and mounted on dark green cardstock, which I glued to my cardbase. 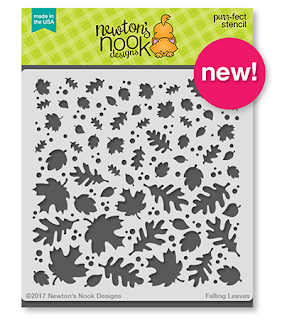 I decided to make a separate care using this gorgeous brand new stencil, Falling Leaves. I started with a kraft panel and stenciled the leaves on using 4 fall colors of ink, (yellow, orange, green, maroon) starting with lightest first. I added accents to the leaf edges with my white Gelly Roll pen to make them really stand out. Once my panel was done, I colored the image of Newton in the pile of leaves and die cut him. 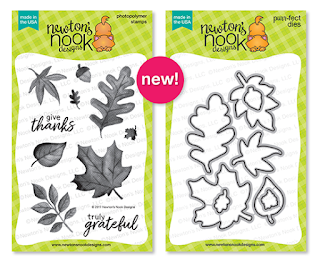 That set is called "Autumn Newton", part of last month's release, pictured below. I die cut a scalloped piece from MFT Stitched Scallop Basic Edges die and foam taped the whole panel + image on top of my stenciled background. Thanks SO MUCH for stopping, please leave a comment to win, scroll down to learn more! These are gorgeous. I love the watercolor background and the accents you added to those leaves. Both of your cards are gorgeous. Really love the background on the first card as well as how you outlined the leaves in white on the second. I really love your first card. The muted colors are wonderful. Your first card is so beautiful! I love the colors you used on the card. Your 2nd card is super adorable! I love the cat in the pile of leaves. I am really drawn to the fall and autumn creation, lovely! Love this card and the colors. The background and the color of the leaves is lovely! Gorgeous work with the stencil. Love the white gel pen detail. Two incredible cards! I especially like how you used the white gel pen on the leaves on the second card. Both of your cards are lovely. I like the colors of the leaves on the first and all the detail you added to the second. Your cards turned out beautiful. Love the luscious green background on the first card. LOVE both of your cards! The green background is amazing it's really eye catching and I adore how you used the stencil along with the Newton image. both of your cards are great! gotta love newton and his pile of leaves! Beautiful autumn cards! 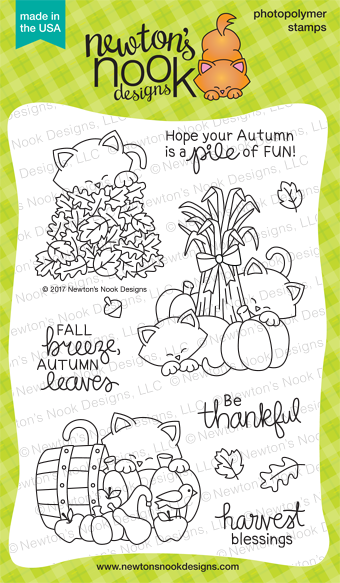 Love the gorgeous leaves on the 1st card, and Newton and the leaf pile is absolutely adorable! These are absolutely gorgeous AJ. The gel pen accents on the second one actually makes the leaves look as though they have Glossy Accents on them. Very nice work! Your cards are so stunning and eye catching. I love the colors! Thank you for sharing. I can hardly stand how cute that background and little kitten are together. Such wonderful cards! Those water color leaves sure are neat. Awesome cards, I love seeing the fall colors come back out. 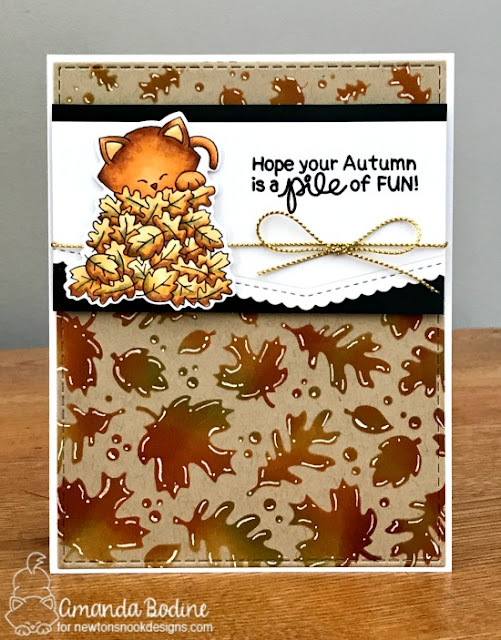 Love your fall leaves cards. Nice samples! Your "Truly Grateful" leaves card is stunning!!!!! Newton compliments your leaf stencil so well. Thank you for the inspiration! Your botanical background is so lovely on the first card. It is beautiful with the leaves and gold thread (nice accent!) I am especially partial to the Newton image. Something about this little kitty!!!! The stencil background is beautiful, the white pen makes it look like you carefull applied glossy accents!! 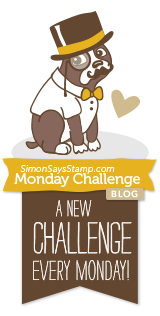 Gorgeous creations with this new stamp and stencil. I love the canvas type look the stamps create. Both of your cards are beautiful! I really love the monochromatic background on the first card and how you even kept the enamel dots the same color. I really like the gold cord accent. Nice finishing touch! Such an amazing card!! Love it!